May 4th, 2017 – I have a few white pages with text in my hand. The pages contain Daan’s story of World War II, at least the short summary of it. He was not a boy, not yet a man when the war broke out. 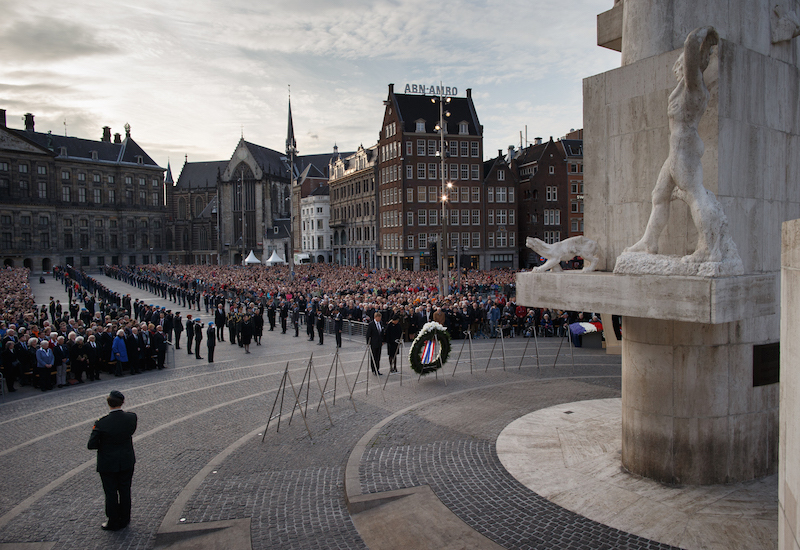 Each year, the entire Netherlands remember the victims and fallen soldiers of World War II on this 4th day of May. 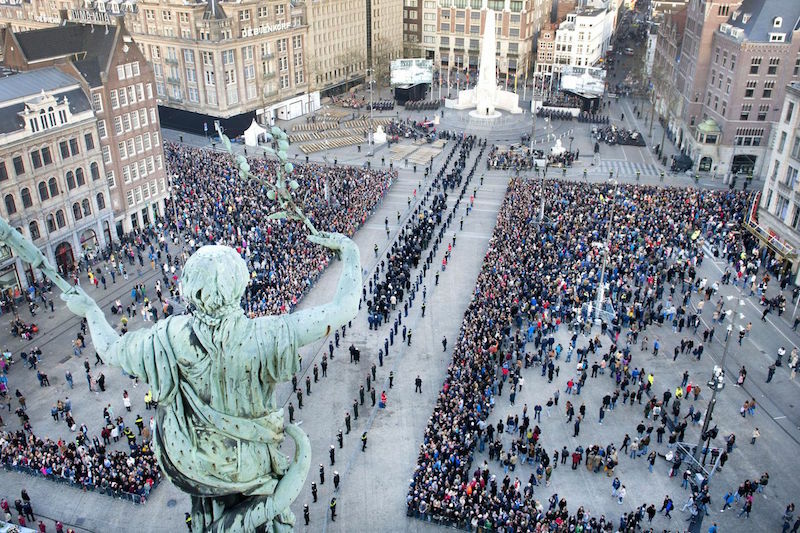 This year I was invited to participate in the commemoration and Silent March in Amsterdam. I have to admit I couldn’t recollect nearly enough from what I was once taught in school about WWII. Mere fragments here and there. I knew a part of Daan’s story was written down. So I asked if I could read it before heading to Amsterdam. As such, I find myself with these words in my hand. “1943 – All young men were ordered to report themselves at the employment office. They were sent to work in German factories. If you didn’t show up, you or your parents would be punished. 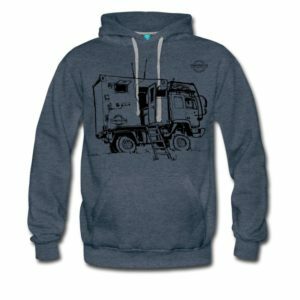 I was forced to work in Stuttgart, but quickly decided to “leave”. I made it to Cologne, where I was picked up without the correct papers. 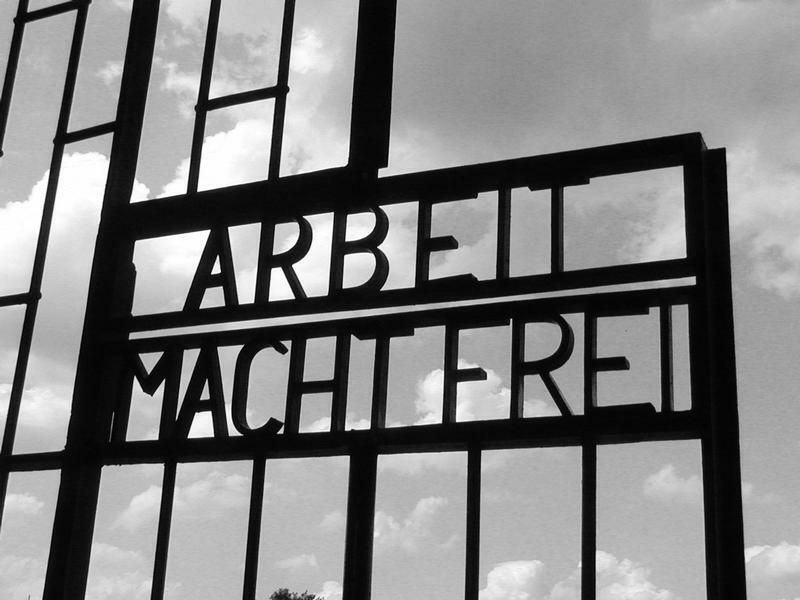 The gates of the Sachsenhausen concentration camp had the infamous words “Arbeit Macht Frei” (“Work Makes (you) Free”). With daily executions by shooting or hanging, and many more dying as a result of brutality, exhaustion, disease, malnutrition, etc. .. there was no freedom to be found in Sachsenhausen. The camp was intended to set a standard for other concentration camps, both in its design and the treatment of prisoners. The extent of the horrors that took place here is beyond comprehension. Eventually he’s put on a train again. This time to Paris, to build bunkers. During one of the many English attacks on the train, Daan manages to escape. While running away from the train he could have been killed by the SS’s or by the English (who would not have been able to distinguish him from the Germans). Luckily neither of the two happened. With the help of many people Daan manages to find food and shelter in and around Paris. Shortly before the winter of 1944-1945 he gets his hands on a document that should help him to travel to the Netherlands. And indeed, he’s able to catch a ride out of France with the German Red Cross. 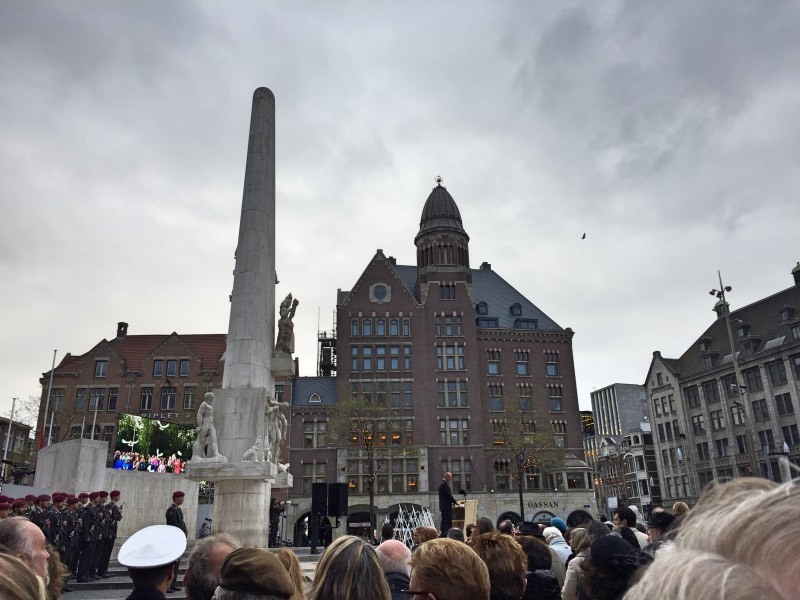 He finally arrives back in Amsterdam right when – due to a German blockade cutting off food and fuel shipments from farm areas – the Dutch “Hunger Winter” (famine) takes place. To make a long story short he survives the winter, but the war had taken such toll on his body that he’s hospitalized for the next 3 years. With his story in mind, Daan’s wife and I catch a train to Amsterdam. It’s not until the commemoration in the church on “De Dam” that everything really starts to sink in. While listening to the music and testimonies, and watching the lit candles in the chandelier hanging near me, I feel very grateful for the freedom that is given to me by so many men and women. Freedom is often provided for us, and one of the greatest gifts we can give to others! I did not expect the effect this day would have on me. On the train ride back Daan’s wife and I talk more about who Daan was. WWII is no longer a history book for me, with numbers and names, it now has a face. The face of someone who created a rather spectacular life after the horrors and I would have wanted to meet. 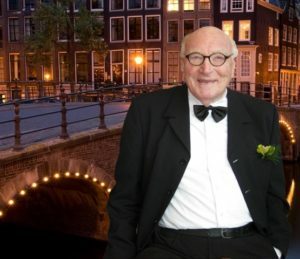 Daan is not a random person on a picture, but Elmer’s dad. I want to thank Elmer’s mom, Daan’s wife, for sharing parts of his story with me and letting me share my experience of this day with you so the stories are kept alive. 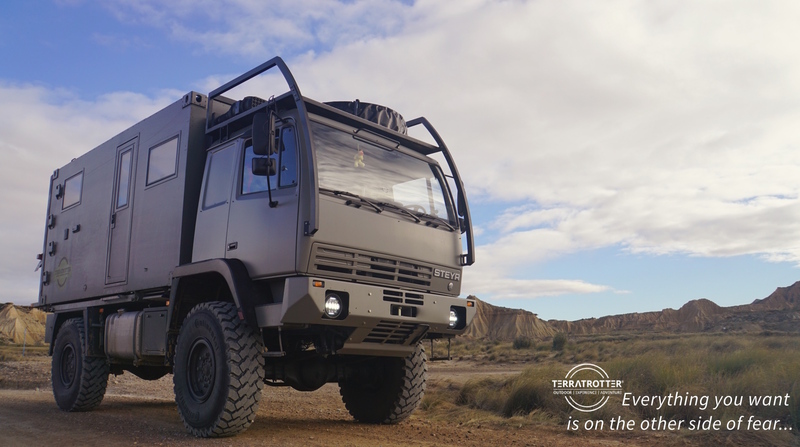 ← Travel navigation: Which road to follow?